One of my all time favourite albums is Donald Fagen’s post Steely Dan 1981 debut solo album, The Nightfly. It is a record of complete perfection with its jazz infused tones and theme and was, for many, Steely Dan fans a step up even from their giddy heights. 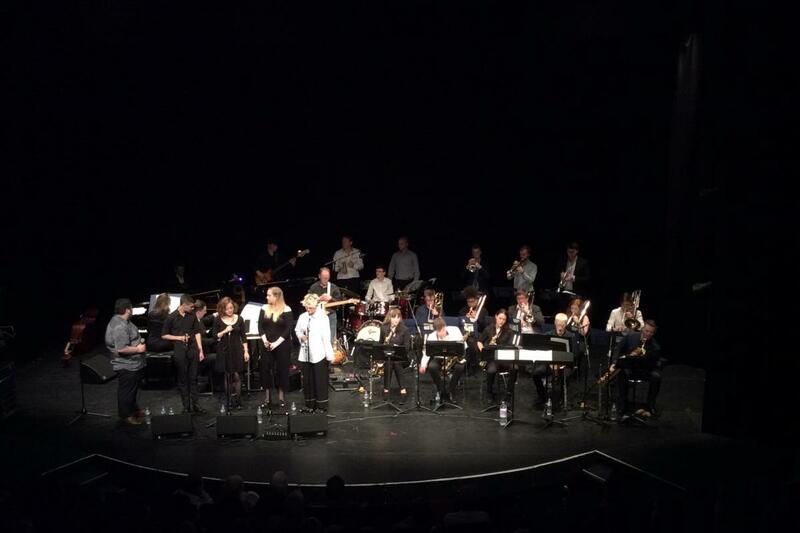 Well, Malcolm Edmonstone has taken the album and arranged it for NYOS Jazz Orchestra performing a ‘big band’ rendition from start to finish (with five brilliant vocalists), conducted by Andrew Bain in Edinburgh’s brand new Rose Theatre on Rose Street. The album astoundingly transforms itself into a jazz ensemble piece and guest guitarist, the venerable Malcolm Macfarlane, is mindbogglingly brilliant as lead guitarist and shares two of his own excellent filmic numbers prior to the Nightfly set. But the stars of the piece are obviously the orchestra. All young, all impressively talented and all bringing a classic album to life (that was recorded before any of them were born) with consumate ease. The West coast Californian languor of Fagen’s late night radio station vibe is extremely cool, only 8 songs, but every one of them, chilled, jazzy, soulful and simply brilliant.